A place that is a home for animals! It is absolutely necessary to establish a shelter for sick, abused, old, and unwanted animals and allow them a life and aging in a species-appropriate environment. - build a veterinary medical practice to vaccinate young animals, to sterilize sexually mature dogs and cats, and generally to provide medical treatment. 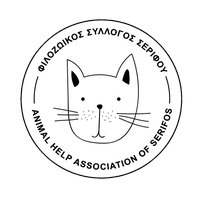 In general, we also want to sensitize the population for the concerns of animal welfare (for example in form of projects with school classes) and want to convince unreasonable animal owners to change their behavior.